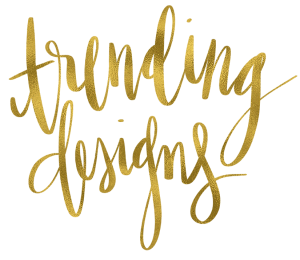 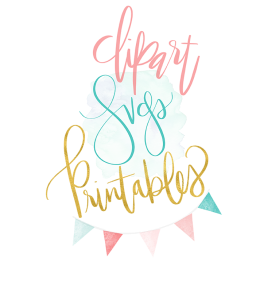 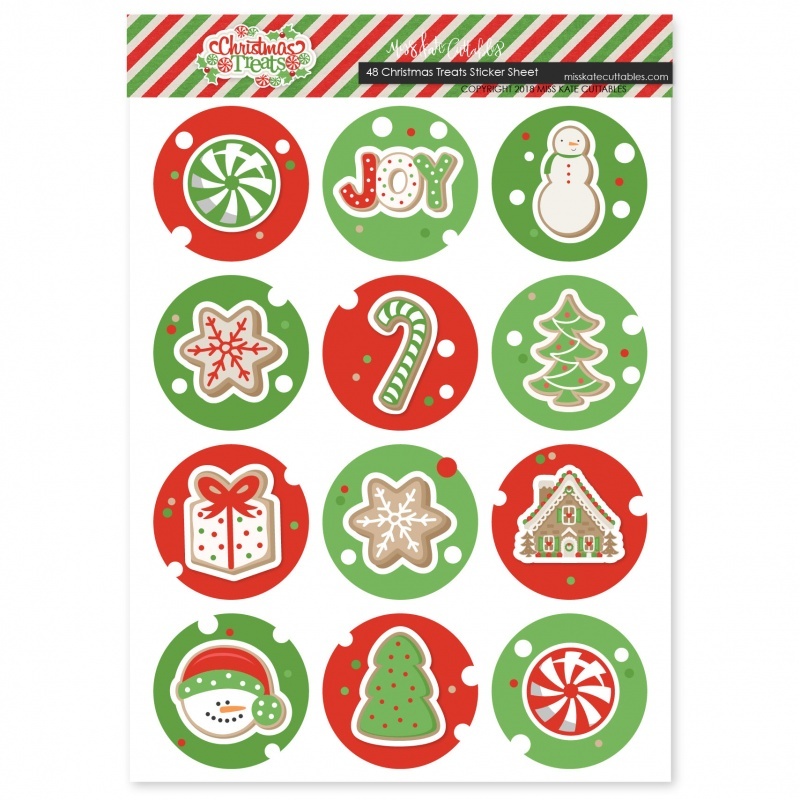 • 48 - Round Stickers • Acid and Lignin Free • 60lb Premium Matte Adhesive Paper • Features Hi-Definition Print TECHNOLOGY. 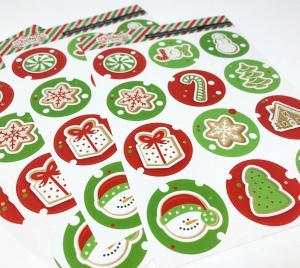 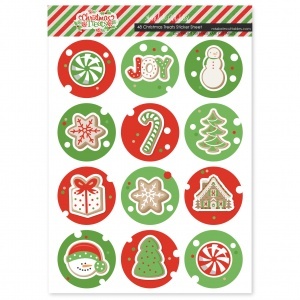 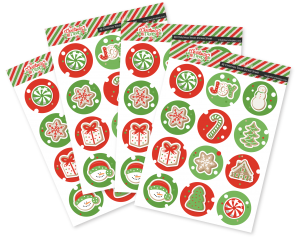 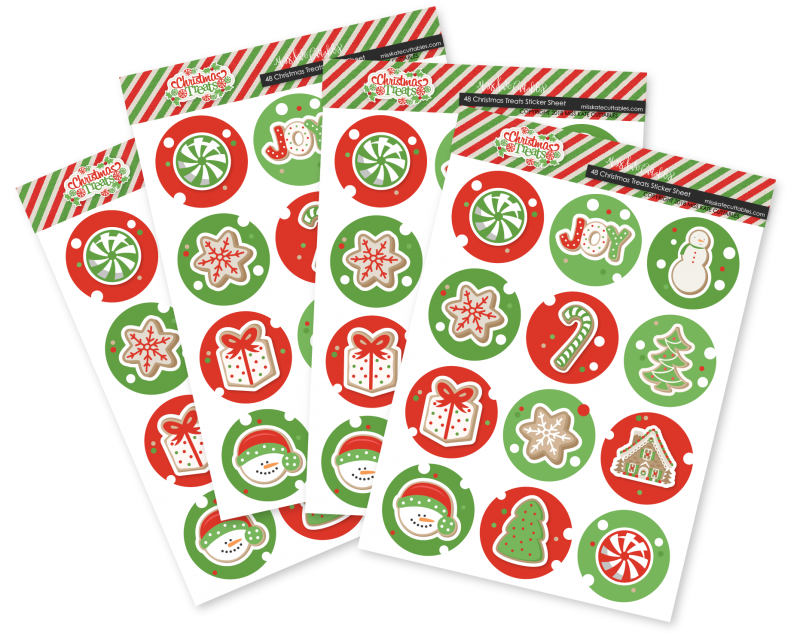 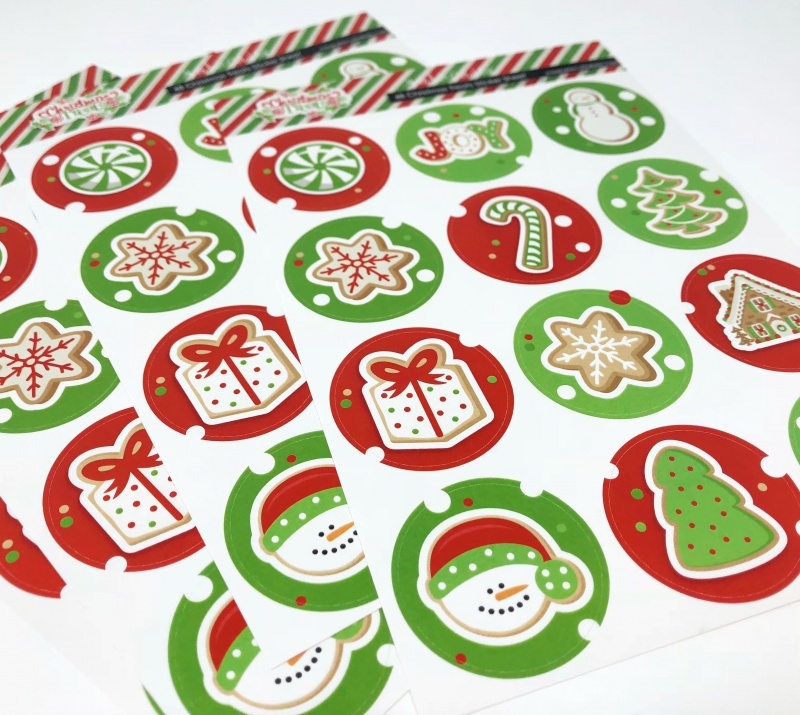 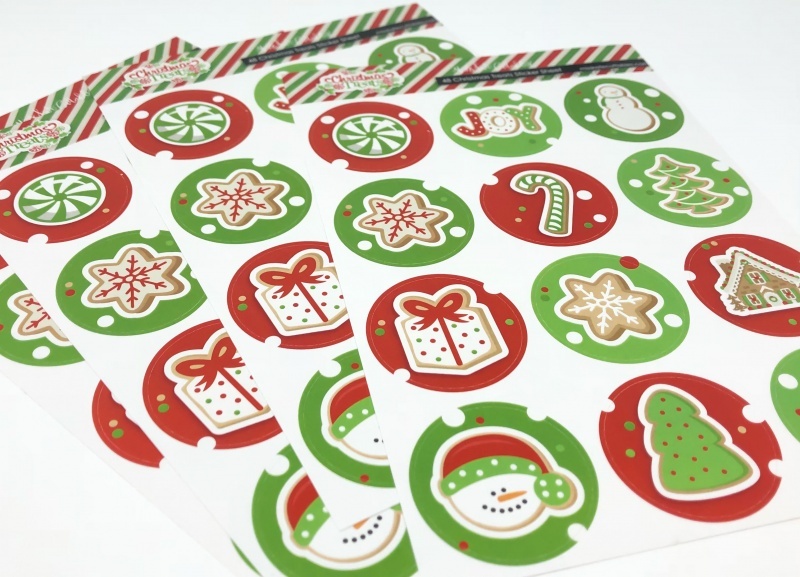 • The Christmas Treats Round Sticker Pack has a wide variety of Designs including Holly Berry Pine Cone Christmas Presents Gifts Snowflake Ornaments ► THEME Works with Christmas Eve Party December 24 25 Pajamas. 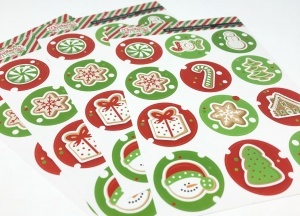 Perfect for gift tags for christmas treats.